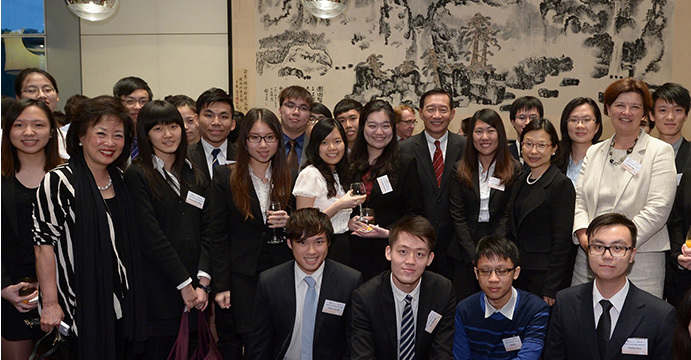 The Hong Kong Federation of Youth Groups (HKFYG) was founded in 1960 and is now the city’s largest youth service organisation. For the last 54 years, it has been committed to serving the youth of Hong Kong through the provision of a variety of services, activities and programmes, which have an annual attendance of over five million. We encourage youth to reach their fullest potential and with community support, we now have over 60 service units. We also have 12 core services, which include the Youth S.P.O.Ts, M21 Multimedia Services, Employment Services, Youth at Risk Services, Counselling Services, Parenting Services, Leadership Training, Volunteer Services, Education Services, Creativity Education and Youth Exchange, Leisure, Cultural and Sports Services, and Research and Publications. We encourage young people to grow into responsible and dutiful citizens and we now have over 170,000 registered volunteers and 410,000 registered members. We believe that our motto HKFYG • Here for You reaffirms our commitment and dedication to the young people of Hong Kong. The HKFYG Leadership Institute of The Hong Kong Federation of Youth Groups came into operation in April 2000 and has since provided comprehensive, systematic, and professional leadership training for youth leaders from 15 to 34 years of age. Our aim is to help participants explore their leadership potential, enrich their personal knowledge and experience, as well as foster a sense of responsibility about making a future contribution to society. Over 100,000 local secondary school and university student leaders have embarked on a leadership training journey during the past decade. Our centre has provided over 1 million training hours, and more than 400 secondary schools have nominated student leaders to take part in our training courses.